This week we are joined celebrity chef Pette Goffe-Wood, for our Cook-a-Long. 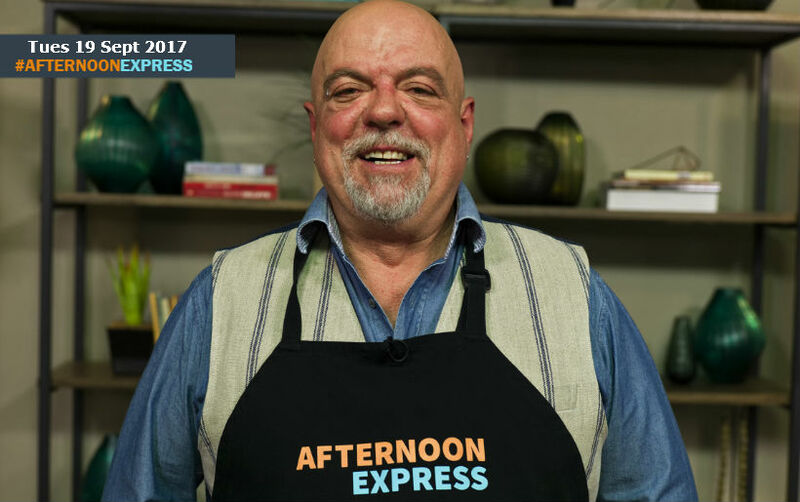 The London born Pete, grew up in South Africa and has spent the past 30 years as a professional chef, having been trained at the Beverly Hills Hotel in Umhlanga Rocks. Pete had originally enrolled in a Food Services Management coarse at Cape Tech, as his initial goal was not to actually become a chef but run restaurants instead, he discovered his true love of being a chef after working a holiday job in a kitchen. He later returned to London, working at some of the top high-end restaurants that the city had to offer. This was until he decided to return to South Africa and assist in the opening of La Couronee Hotel & Winery, in Franschhoek, which is now called Mont Rochelle. It would go on to be named one of fifty the most exciting restaurants in the world in 2000, by Conde Nast Traveller. Now his work as food alchemist and consultant, he is regarded as a ‘Kitchen Cowboy’, which he launched a workshop for in 2003, and his work has taken him all over the world such as Sydney, Bangkok, Istanbul, Moscow and Paris, just to name a few. In 2012, he represented South Africa in Global Pizza Challenge, where he came in 1st place in the Dessert Pizza Category.